WASHINGTON (April 30, 2013) - The Washington International Horse Show, one of the world’s most prestigious equestrian events, is pleased to announce the election of an outstanding and committed slate of officers to serve through 2014. 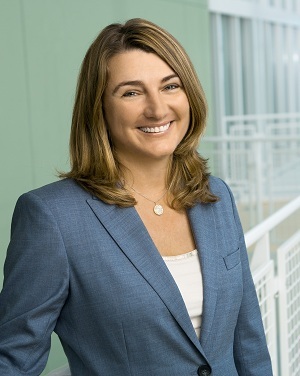 Juliet W. Reid was named chairman of the Board of Directors. Victoria Lowell was elected president, with Anne Poulson to serve as vice president, Marc D. Oken as treasurer and Laurie Peterson Fellows as secretary. Reid, of Washington, D.C., joined the WIHS Board in 2007, serving as treasurer before being elected president for two terms. She is involved in the horse industry both professionally and personally, serving on the U.S. Equestrian Team Advisory Board and the U.S. Equestrian Federation Marketing Committee. In addition she is co-president of Live Oak International, a prestigious driving and show jumping event in Ocala, Fla., held annually at the family’s farm. Reid’s family is very active in horse sports. Her daughter is a top junior rider competing nationally and internationally in show jumping. 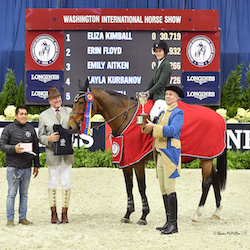 “Juliet brings vision, commitment and personal passion to the Washington International Horse Show. As president she revitalized this special Washington tradition by building new partnerships with the city, sponsors and the military community. She has made it an exciting sporting and community event unlike anything else inside the beltway or in the equestrian world,” said retiring chairman Gregory Gingery, who remains on the Board after serving as chairman since 2009. Gingery, a longtime supporter of WIHS, also served as president from 1992-1994. Lowell, of Brookeville, Md., joined the WIHS Board in 2009, serving as secretary for two terms before being elected president this year. In her professional life, Lowell is senior vice president of marketing and operations for Animal Planet and the Science Channel. She also sits on the USEF Marketing Committee and was closely involved in Animal Planet’s Horsepower: Road to the Maclay and the Sporthorse Championship series. She is an active amateur competitor in show jumping and recently was named circuit champion in the Adult Amateur Jumper Division at the 2013 FTI Consulting Winter Equestrian Festival in Wellington, Fla.
Rounding out the Board leadership is Anne Poulson, re-elected vice president, Marc D. Oken, re-elected treasurer, and Lauren Peterson Fellows, in her first term as secretary. Poulson, of Washington, D.C. and Orange, Va., joined the Board in 2008. She is a corporate lawyer and lifelong equestrian now focusing her equine interests on thoroughbred racing and breeding through her farm, Hare Forest, in Virginia. She has been active in numerous industry roles, including chairman of the Virginia Racing Commission and president of the Virginia Thoroughbred Association. Oken, of Charlotte, N.C., joined the Board in 2010. He is co-founder and managing partner of Falfurrias Capital Partners, and currently oversees the operations of the firm. He also serves on the Boards of Marsh & McLennan Companies and Sonoco Products Company. He served as an aviator in the U.S. Navy from 1968-1973. Co-owner of Hi Hopes Farm LLC with his wife, Celene, he is actively engaged in his family’s passion for horses and showing. 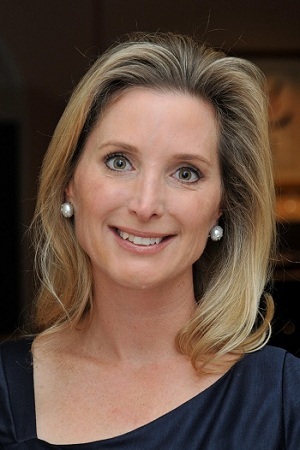 Fellows, of Middleburg, Va., is director of The Peterson Family Foundation and serves on the Boards of a number of philanthropic and charitable organizations, including vice chairman of Life with Cancer, Inova Health System, Inova Foundation, Northern Virginia Family Services and Charity Works. An amateur rider herself, she is active in the horse industry serving as chairman of the Loudon Benefit Horse Show and member of the Virginia Horse Shows Association Zone 3 Owner’s Committee. She joined the WIHS Board in 2008. The following is a complete list of the 25-member WIHS Board of Directors: Ahmed Alali, New York, N.Y., Benjamin R. Allen, Boerne, Texas, Susie Baker, Argyle, Texas, Archie Cox, Los Angeles, Calif, Kim Davis, Cockeysville, Md., Lauren Peterson Fellows, Middleburg, Va., Claudia Wilson Frost, Houston, Texas, Gregory W. Gingery, McLean, Va., Becky Gochman, New York, N.Y. , Brianne Goutal, New York, N.Y., Victoria Lowell, Brookeville, Md., Elizabeth Miller, New York, N.Y., Carolyn S. Nordberg, Chevy Chase, Md., Marc D. Oken, Charlotte, N.C., Robin Patton, Nashville, Tenn., Laura N. Pennington, Washington, D.C., Anne Poulson, Washington, D.C., Elizabeth Press, New York, N.Y., Juliet W. Reid, Washington, D.C., Michael Strauss, Southampton, N.Y., Alexandra Thompson, Birmingham, Ala., Robin R. Wilder, Chevy Chase, Md., Deborah L. Winsor, Washington, D.C., Directors Emeritus: Melissa McGee Keshishian, Washington, D.C., Austin H. Kiplinger, Washington, D.C. The 55th Annual Washington International Horse Show will take place October 22-27, 2013 at Verizon Center in Washington, D.C. Established in 1958, the Washington International Horse Show attracts more than 20,000 spectators to the six-day show, which includes Olympic-level competition along with community and charity events. More than 500 top horses and riders come to D.C. from all over the globe to jump for nearly half a million dollars in prize money. Event highlights include the Puissance high jump competition on Military Night (Friday), the $100,000 President’s Cup Grand Prix (Saturday night) and Kids’ Day (Saturday), a free, fun and educational community event. The Washington International Horse Show Association, Ltd. is a 501(c)(3) nonprofit charitable organization headquartered in Washington, D.C.